Has a practice “smart dashboard” to show prioritization, workflow elements and alerts. Product Advisory Group providing practices with direct access to engineers. They have “add-on products” that could be confused as part of basic package. Make sure to understand your agreement and implementation package so there aren’t any surprises down the road. Offer conferences and trainings but at a significant cost especially if travel involved. See above for AdvancedMD Reviews. If you are a user of AdvancedMD EHR, we want to hear from you. Do you like AdvancedMD? How is the support? Is it easy to use? 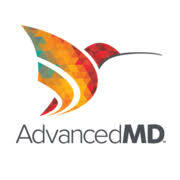 HOW IS ADVANCEDMD DIFFERENT FROM OTHER EHRS? Designed specifically for the independent physician in mind, AdvancedMD is a cloud based EHR solution, Practice Management solution, and a Managed Billing solution. AdvancedMD allows you to “build a bundle” so you can select only the solutions and services your practice needs and not have to pay for ones you don’t. AdvancedMD also provides a community called NEST which allows for practices to collaborate with one another, share ideas and best practices. This is just one of many ways that AdvancedMD helps support innovation. DOES ADVANCEDMD OFFER SOLUTIONS FOR SPECALTY PRACTICES? Yes, in fact Black Book ranked them “#1 EHR for Cardiology, Internal Medicine, Neurology & Pediatrics” in 2018. And with offering its own telemedicine solution, Advanced Telemedicine can allow you to see your patients when and where you want. AdvancedMD also utilizes a B2B business model in some areas and offers exclusive pricing for medical billing services. Information provided by advancedmd.com and crowd sourced.